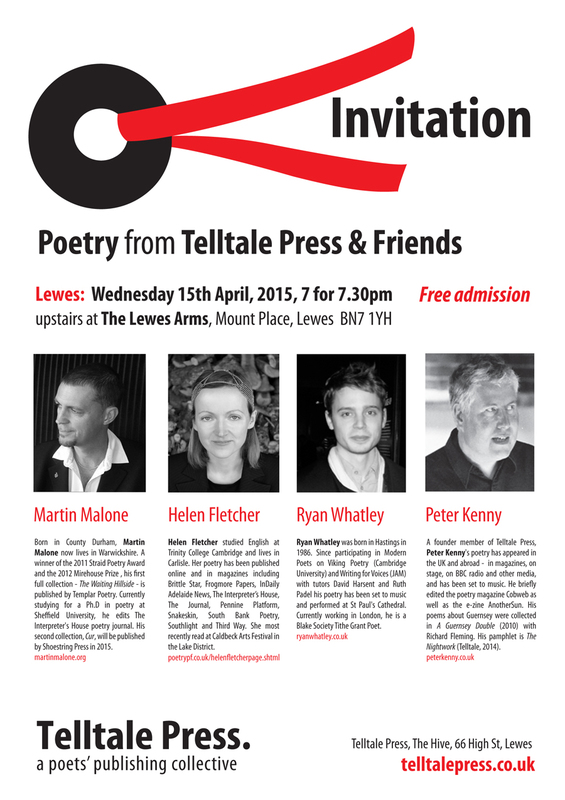 Please join Telltale Poets and friends for another free evening of poetry in our home town of Lewes. We’re going to be upstairs at The Lewes Arms on Wednesday 15th April, 7 for 7.30pm. Our special guests will be award-winning poet and editor of The Interpreter’s House, Martin Malone, and exciting new voices Helen Fletcher and Ryan Whatley. They will be joined by Telltale poet Peter Kenny. It’s free, so please come along and support Lewes’s newest poetry press!